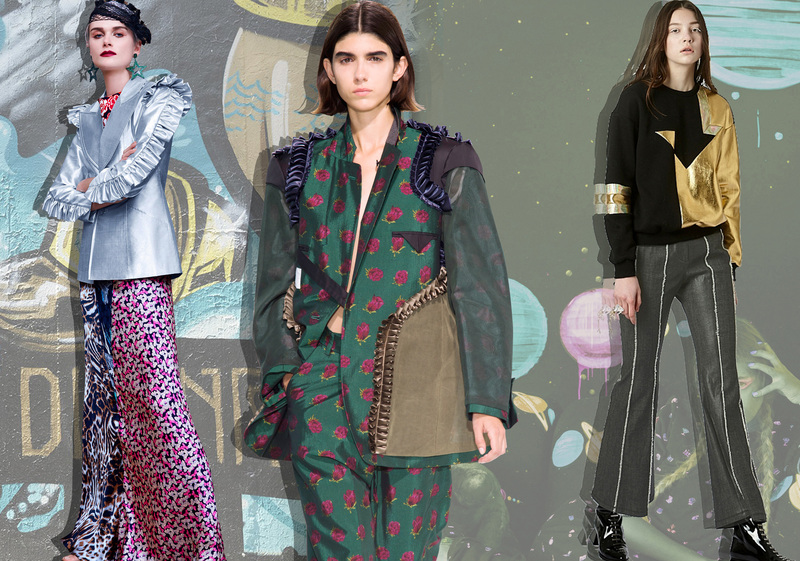 The rise of Chinese style drives trends. Chinese characters, dragons, beasts and cranes exude an oriental flavor. Delicate techniques create visual impacts, showing the playfulness of the Millennials. 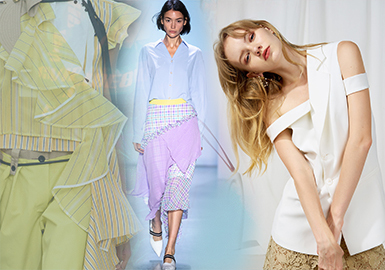 Contrasting effects are still prevalent in S/S 2020. 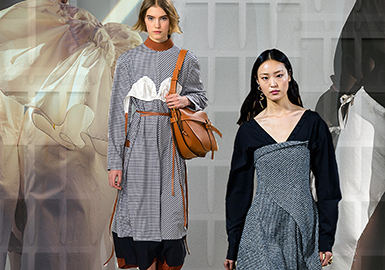 Asymmetric design, mixed materials, clashing colors and different approaches add adversity to garments, contributing to more offbeat and comfortable looks. 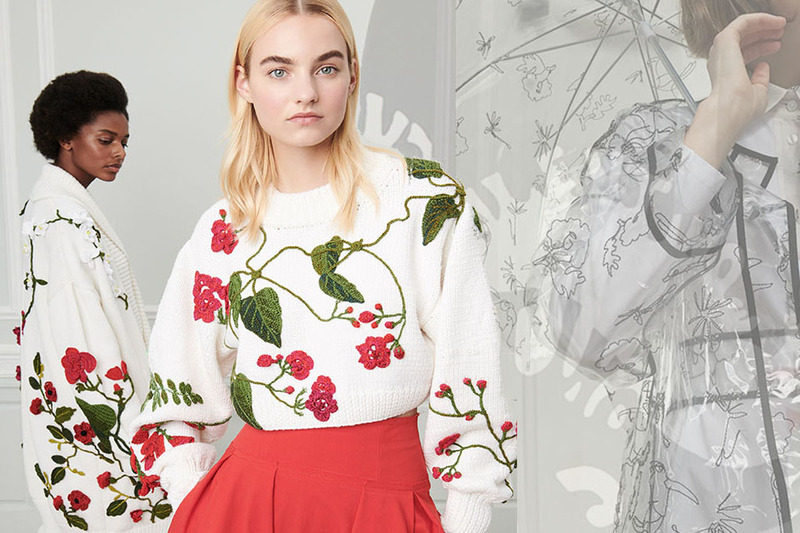 As the soft power of culture rises, patterns on garments become more diverse. 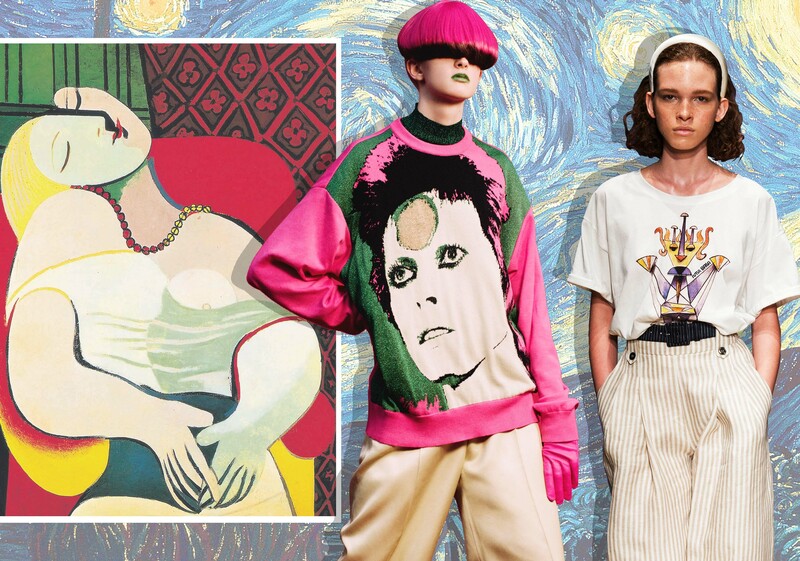 This report pays tribute to the influential artists including David Bowie, Pablo Picasso and Vincent Willem van Gogh, and shows how to apply the inspired patterns. 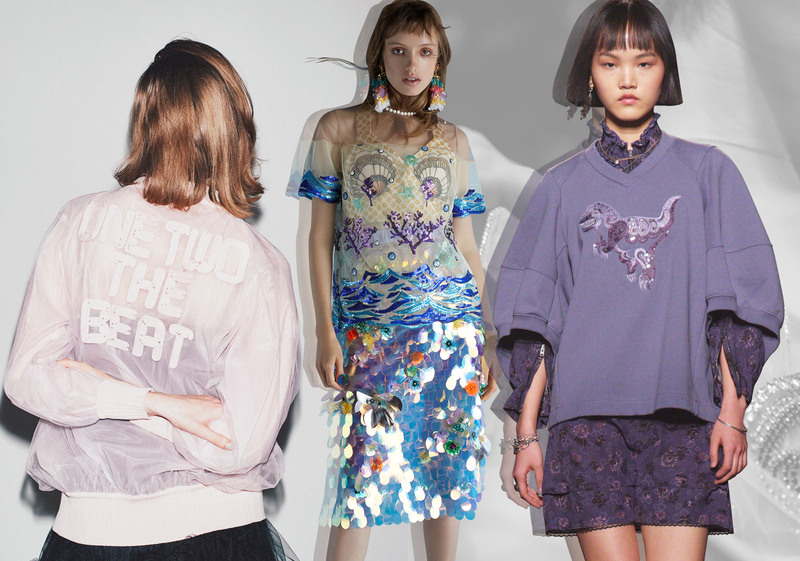 Printing, sequin and beading are key techniques. 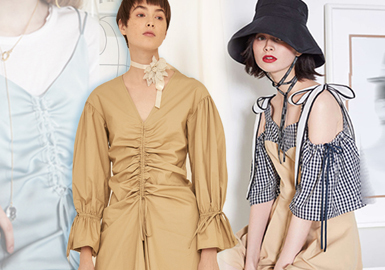 Paneling is still faddish in S/S 2019. 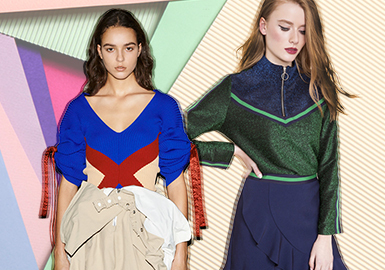 Color-blocking design is not new, mixed materials and styles also gain traction. They update and add diversity to garments. 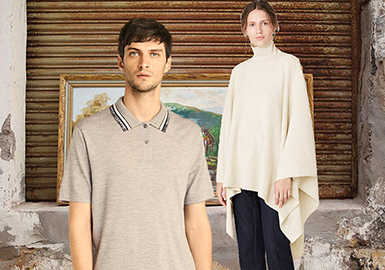 Cotton and linen garments carry a fresh and artistic aesthetic. The fabrics are natural and understated. Without excessive decoration, cotton and linen items are still elegant. With the prevalence of sport style, designers play with drawstrings. Soft materials are shirred for a casual and comfortable feel. Draped looks add depth to fabrics. 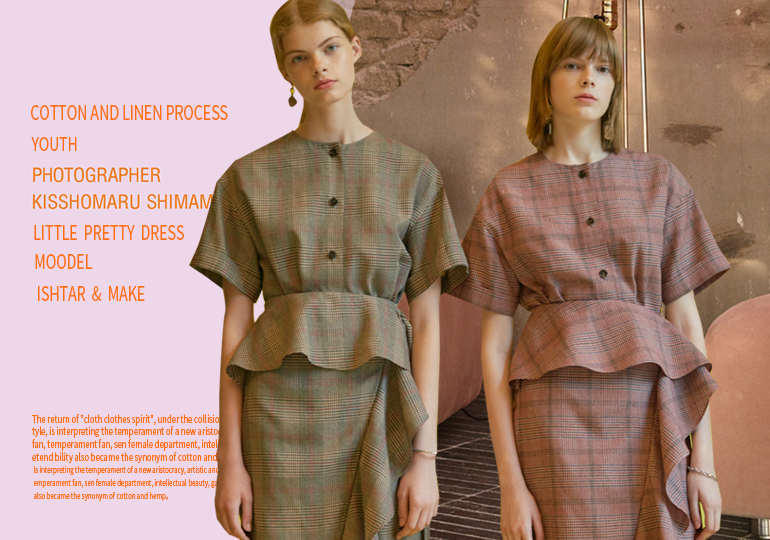 In S/S 2020, cotton and linen items feature refined cutting and comfortable fabrics, minimalist yet elegant. 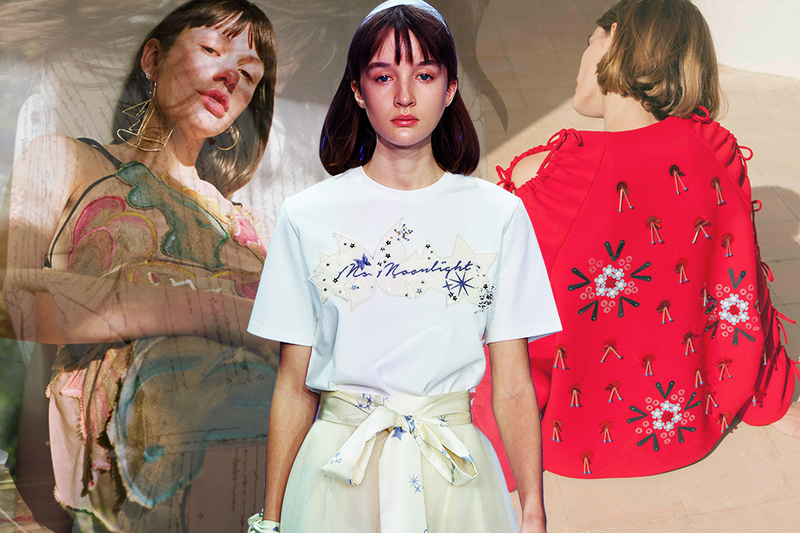 Applique, sequins ,embroidery, beading and hot fix rhinestone are emphases in this season, and the patterns reveal girl's innocence and romance. An Adjustable buckle in light metal and feminine ribbon is soft yet calm, reflecting the smartness and grace of women. Crafts work as a highlight, various cutting techniques and accessories can create subtly sophisticated look. 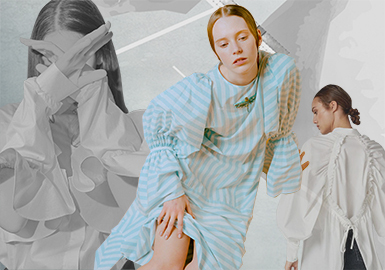 Femininity is emphasis in this season, and the sport reference as well as unisex elements are notable. The knitted fabric is elastic, breathable and textured, with novelty and innovative detailing enhancing practicability. The original construction is altered through cutting and splicing, to add a brilliant finishing touch to garments for various styles. 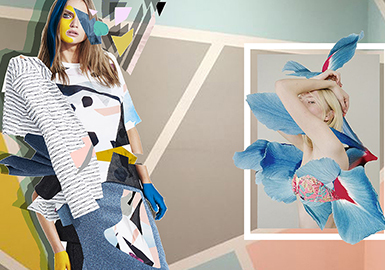 Rather than the simple all-over fabric, mixed materials bring statement-making effects. Soft fabrics team with crisp clothing to complete a more comfortable look for spring and summer. 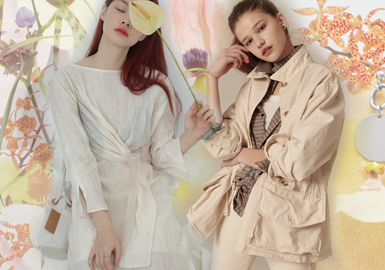 The mixed-material design will be widely used as an important method in this season. The design of details are very substantial in fashion, it explores the possibilities of the styles and creates different looks. 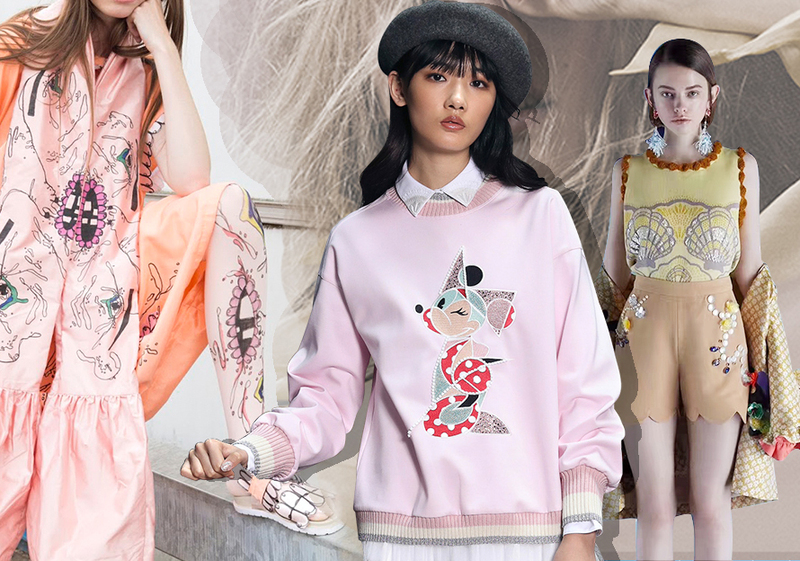 The detail design evolves more playful and lively in this season. Details play a key role in the overall design, adding statement, creativity and delicacy to garments and emphasizing the unique style. 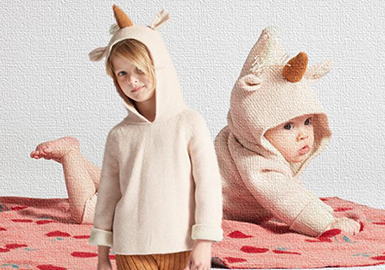 The applications of buttons and the variations of collars, sleeves, hoods and ruffles become design features on kids' knitwear, creating covetable looks.